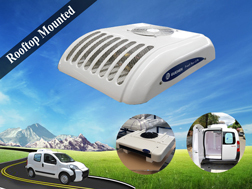 ★ How to Convert a Van into a Fridge Van ? 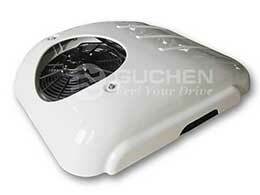 ★ Why Choose Guchen’s Van Fridge Unit ? 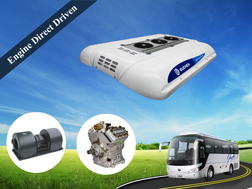 Are you looking for truck/van refrigeration units that can be powered by generator, diesel, vehicle engine for controlling your fridge van/truck body’s temperature? 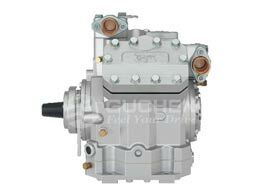 Here is the right place to sale all kinds of refrigeration units for truck & van, Guchen’s electric van refrigeration unit, engine powered van / truck refrigeration units, and diesel independent transport refrigeration unit all equipped with a stand-by system to ensure your product always in a demanded temperature and protect your cargoes security. Electric van refrigerated unit’s compressor is driven by the battery’s 12 volt / 24v direct current, which are all equipped with a extra Transformer - AC Power Switch for charging when your fridge van stop and engine is turn off (no idling), 110v, 220v is optional, mainly used to install the rooftop of the fridge van with body volume up to 2~5m³ used to protect your perishable food safety below -18℃ even the outside temperature is very hot which up to 50℃. 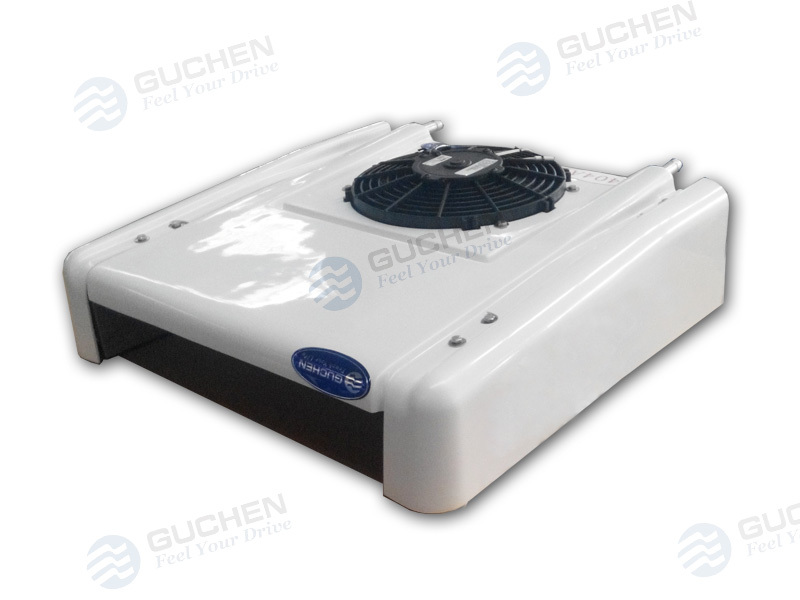 Solution for your electric van transport refrigeration units, Guchen’s 12v /24v electric van freeze unit ( Frozen ) and electric van chiller unit ( Freshness ) for you choose. 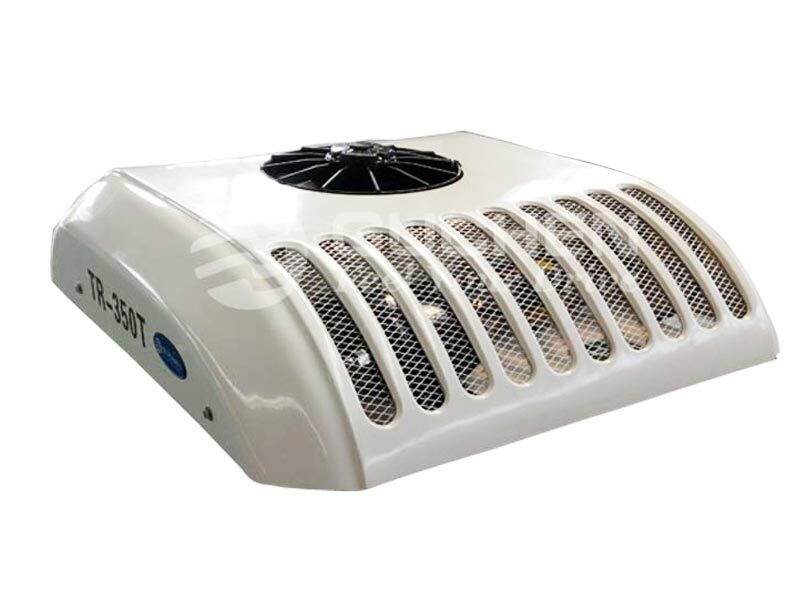 Van chiller unit is cheap than van freezer unit, a very low cost if your just transport fresh food, medical, chemical goods, or other goods requires a not very cold temperature range from -5℃~+25℃, roof top mount Van chiller unit adopts Eco-friendly R134a refrigerant. 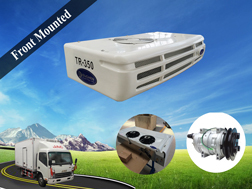 R404a Refrigerant, roof mount van freeze unit used for transporting frozen food, or product requires a very deep cold temperature range from -15℃ and +25℃( 0℉ ~ +86℉), likes ice cream, deep frozen foods / meat, etc. 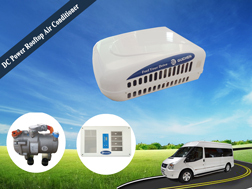 Fridge units for vans are divided into van fridge / freezer units and van chiller units, using R404a refrigerant, compressor is powered by the vehicle engine, installed on the top of the chiller van body. 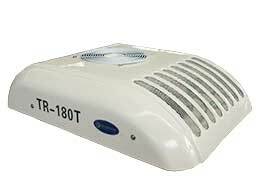 Guchen TR-180t van freezer unit is suitable for small cargo van with 5-12m³van box, and the temperature can be ranged from -15℃ to 30℃. 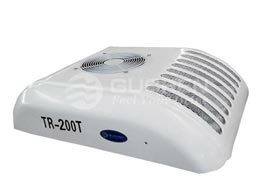 It is usually used for transporting fruits, vegetables and fresh meat inner city. 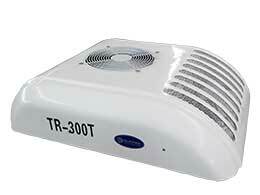 Guchen TR-200t van refrigeration units are roof top units suitable for 8-12m³van box . 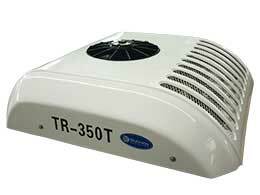 With R404a refrigerant making temperature range from -20℃ to 30℃. 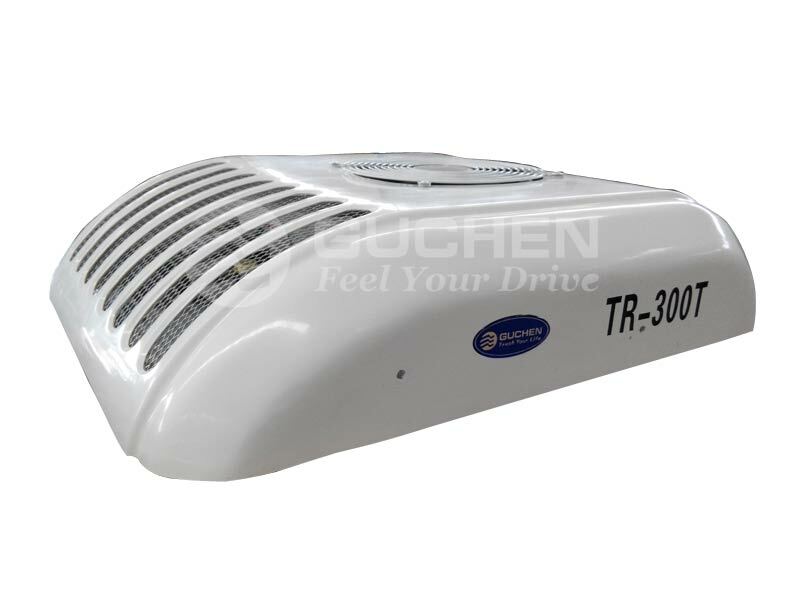 Guchen TR-300t cargo van refrigeration unit is condenser roof top mounted type unit and used for 10-20m³ middle van box. 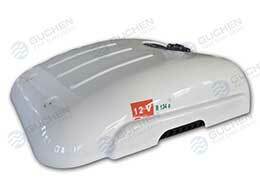 Guchen TR-350t fridge unit for van is used for big cargo vans with 15-25m³volume. 2. 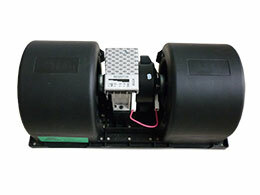 Famous spare parts, saving maintenance cost. 3. 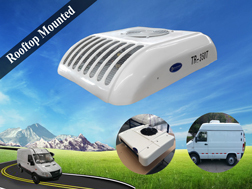 Specialized and professional foreign trade corporation, offer the best service for foreign customers. 4. 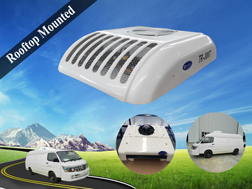 Pursuit double wins goals and long-term cooperation.